In this article and video, I will share an inspirational human story. 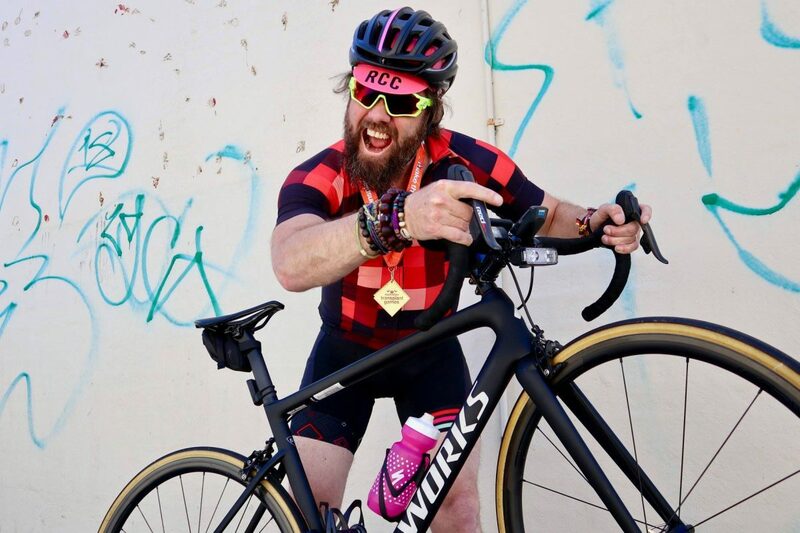 While cycling is not the centrepiece of this blog post (as it often is here at Bike Chaser), it was activity of bike riding that connected Thor Bloomfield and I. Additionally, it was bike riding that gave Thor a new passion in life. A passion he once thought was not possible. I was standing in my local bike shop having a chinwag, as I often do. I just like hanging in bike shops, there’s something titillating about it. For me anyway. Damien Jones (Owner of Hampton Cycles) says to me “The guy over the road there will be coming into store shortly. He’s got a great story you might like to share”. 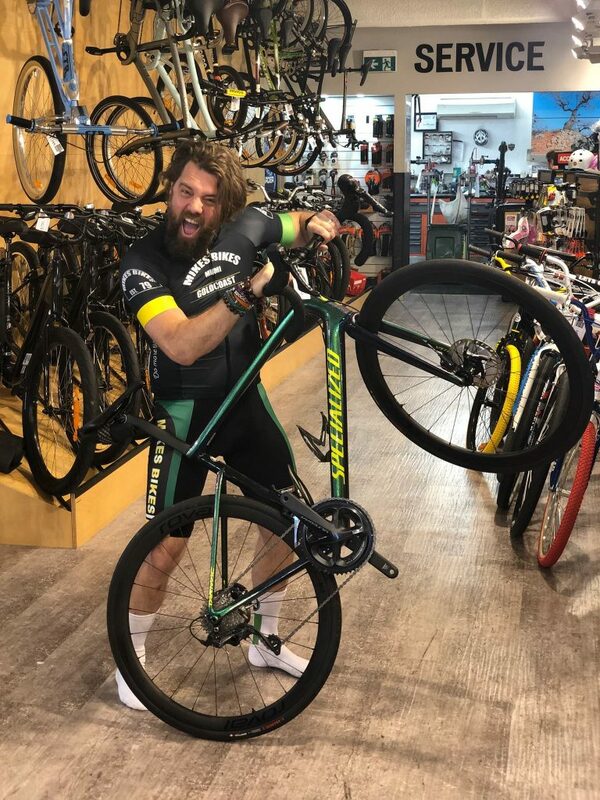 Thor walked into Hampton Cycles. There’s an energy about this man, I think to myself. He’s supercharged! Damien says, “Thor, meet Cam Nicholls from Bike Chaser”. Thor starts explaining his story, bare bones and all. He even takes his top off in the middle of Hampton Cycles, showing me some pretty epic scares that he’s obtained from a transplant I still can’t get my head around. I am speaking with Thor by the Hampson Cycles point of sale resister for almost 20 minutes, completely disrupting their flow of customer sales. I’m enthralled and unaware of what is happening around me. As we wrap up our discussion I immediately propose to Thor we get together for a proper interview. I want the full story! I’d heard of cystic fibrosis before but I was unaware of what is actually was or did to the human body. Interestingly, 1 in 25 people carry the gene but you can only be susceptible genetically if both your parents carry the gene. Then, if both your parents carry the gene you have a one in four chance of being born with this inherent life threatening disorder. 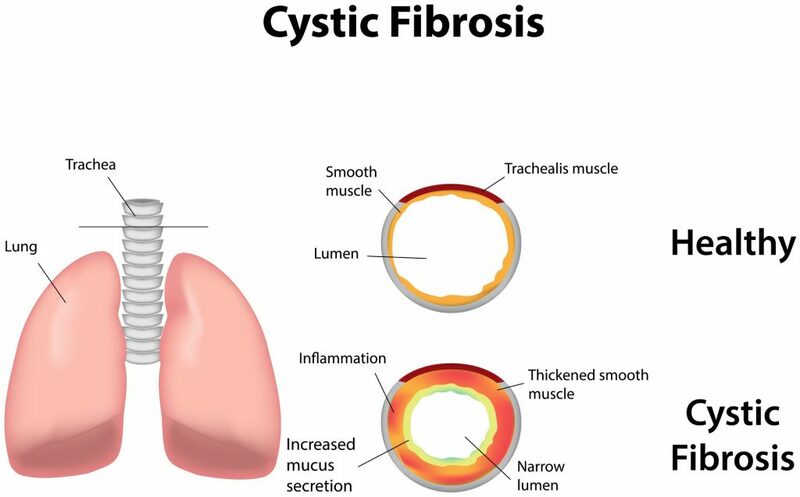 In basic terms, cystic fibrosis (CF) effects the digestive system and or the lungs. It will block the body’s ability to either take in oxygen and/or nutrients (from food) and deliver important elements throughout the body. Mucus builds up in the airways inhibiting CF suffers from delivering oxygen to the body. According to Thor there are varying levels of CF and the way it impacts people. The average life expectancy for someone living with CF is around 40 but is constantly improving thanks to modern medicine. The way CF impacted Thor was mucus build up in the lungs, affecting his airways and his ability to deliver oxygen throughout the body. Like many of CF sufferers, Thor also has type 1 & 2 diabetes, plus asthma, meaning he takes around 40 tablets each and every day to survive. Not to forget injections and inhalers! 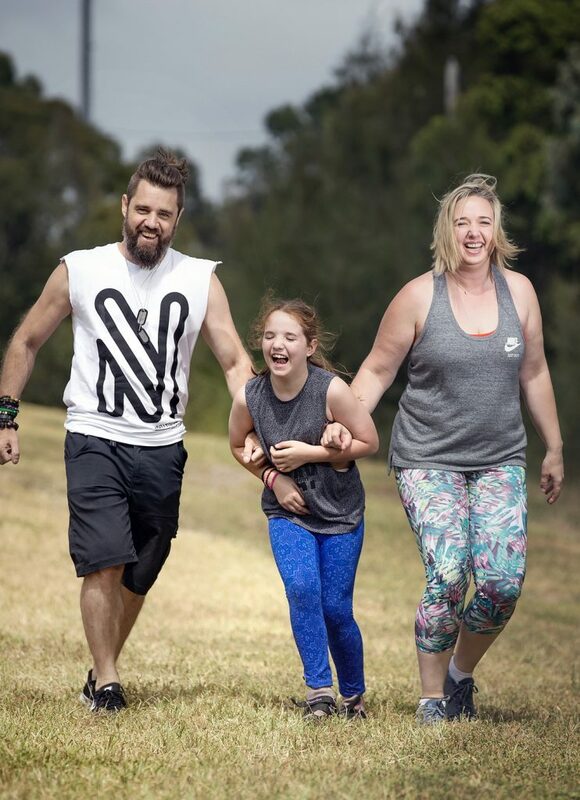 Living day-to-day with CF meant that Thor could live a seemingly normal but rather disrupted life – including an inability to do anything strenuous and also becoming well acquainted with the staff at the Alfred Hospital from a young age. So continuous treatment and medication is an embedded part of his operating rhythm, and according to Thor, his health did gradually dissipate year to year. No doubt adding a layer of mental anguish that words can’t describe. Thor was, however, able to have a beautiful daughter with his wife, and has built a successful business in the property market during the past decade. Thor with his beautiful daughter Catherine and wife Emily. It was only a couple of years ago – when Thor was in his late thirties – that his health started to really take a dive. To a point where something drastic had to happen. Over the course over a 12-24 month period, Thor became severely unwell, repeatedly. Many respiratory style infections. He reached an inflection point. Do you want to keep living / trying to survive the way you are, or do you want to go down the path of a transplant? A lung transplant. According to Thor, there is only a small window when someone can be considered for a transplant, and unfortunately for some, that window falls too short. Essentially your health needs to deteriorate to a point where medical assessment considers you to be needing it, as ultimately you’re considered to be not too far away from death. As you could appreciate, Thor’s emotional state was heightened. Thor become well acquainted with the Alfred Hospital and being connected to medical apparatus leading into the transplant. The process and hospital / lonely time is unrelenting but ultimately required if you’re to go down the path of a transplant. Thor and his family gave the nod and he began the process, both physically and mentally, of preparing for a major organ transplant. One of the many technical aspects to a transplant is that the organ has to be a match to the physiology of the recipient. Additionally, once a transplant donor has passed away, there is a one-hour bereavement period, which means organs can become unavailable to use in another human’s body. The lungs particularly. Unfortunately for Thor, that was the case for his first call up. Thor and his wife were ecstatic to receive that first call. The phone rang from the hospital mid-late 2017; we have a set of lungs for Thor. Then to be told – after the emotional high and making your way to hospital, waiting for the potential 9-hour operation – sorry, it’s not going to go ahead, made Thor and his family quickly come to terms with the situation. So much had to go right and so much was out of their control. This will be an emotional roller coaster no matter what way you flip it. Round two came around a few weeks later. This time Thor was in the hospital for 6 hours and waiting. As they shaved his chest, he was preparing mentally for the biggest moment of his life. Each time Thor was sent back home, he recalls the feeling that it was another step towards death. With two false starts, a rapidly deteriorating health and his confidence of success bruised and battered, Thor was losing hope. A number of weeks later – after a beautiful Spring evening in Melbourne during November 2017 – Thor was lying in bed, happily exhausted after playing in the pool all afternoon with his daughter. The phone rings at 11pm. Thor was passed out in bed, so his wife picks up. This time they sound more confident. Not that Thor and his wife were aware of the varying levels of transplant confidence on the first or second call. However, this time around they had experience and wisdom on their side. The nurse even said that this was a strong match and the lungs were in solid shape. They hadn’t said that before. The Nurse said get to the hospital by 1am. Thor fell back to sleep while his wife packed the bags, organised a sitter for their daughter, and by 1am they were at the hospital. Thor describes the experience entering into the hospital and into his waiting room as like a scene out of a movie. Not only was he cool, calm and collected, especially given his two false starts, the environment and ambiance in the hospital matched his unique mood. There were dimly lit rooms, very few people around, and a quietness throughout the hospital. Any irie feeling, according to Thor. Something was different this time. Thor knew it. Thor waited with his wife and best mate Glen in the hospital waiting room from 1 am until 6 am in the morning. They all got a photo together before Thor went into theatre. Thor was wheeled off about to enter a highly technical 9-hour operation. His lungs out, another person’s in. As Thor was being wheeled into the operating theatre he started to reflect on many of the bucket list items he had been able to experience before this very moment. Like spending a week in Bora Bora with his daughter and wife, watching the sunset and the sunrise. Before Thor entered the operating theatre, he put his fist in the air, celebrating the life he had with his old lungs. A life he pondered could be over once the procedure drugs kicked in. Thor’s lung function dropped to 17% on bad days during the lead up to the nod for a transplant. Today, following a successful operation and 9 months of solid use, Thor has 93% lung function. Thor describes the feeling of being able to breathe again as being the freakiest feeling. 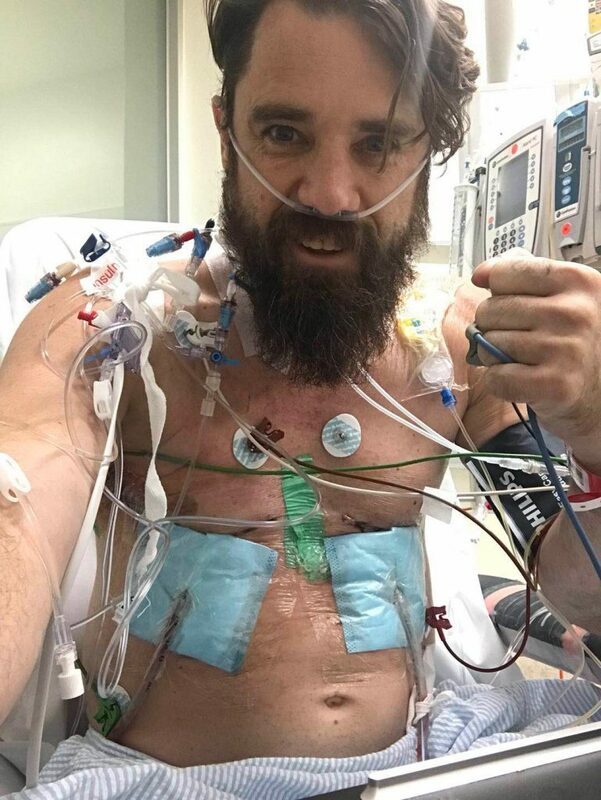 Thor post a successful lung transplant. Being able to breathe properly and knowing I had someone else’s organs in my body was “a freaky feeling”, according to Thor. He correlated that feeling to the day the nurse removed the pipes from his mouth post operation. He took a deep breath, holding in the air before releasing. A feeling he couldn’t recall, suffering with severely blocked lungs for such a prolonged period. 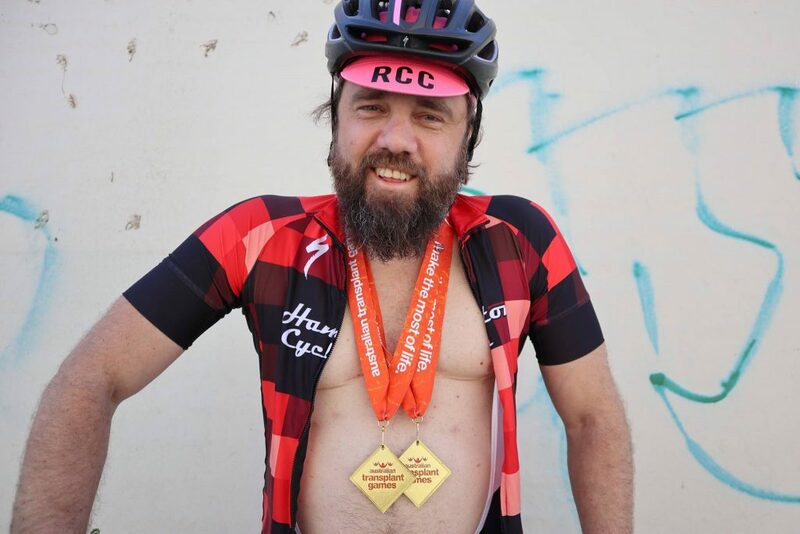 When Thor left hospital and started to gain some normality back in his life he committed to the transplant games in the Gold Cost. Looking at potential disciplines Thor put his hand up for doubles ten pin bowling and cycling; where he would participate in a 10 km time trial and a road race. 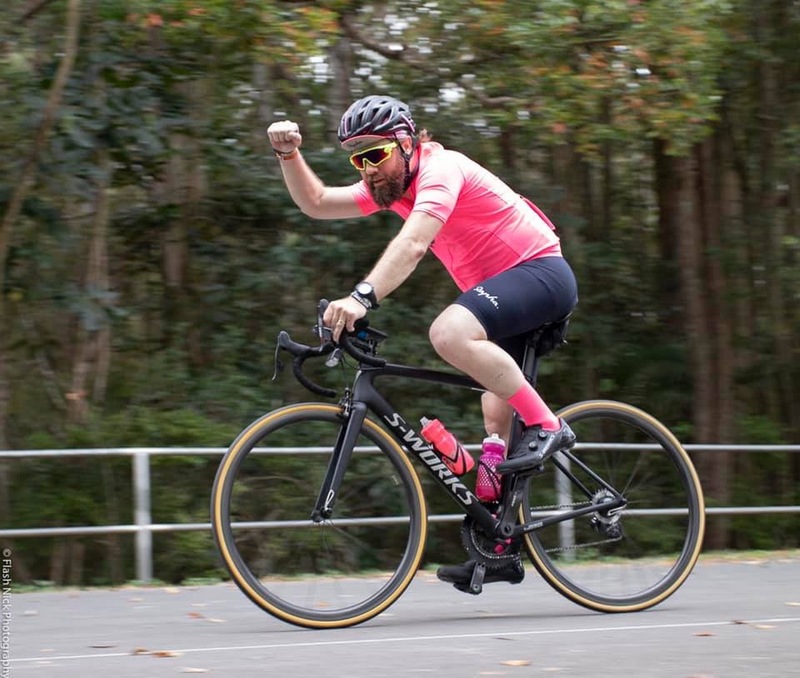 While Thor had ridden around a bit on an e-Bike over the past number of years, he actually hadn’t been able to ride a push bike for over 10 years! Bike riding was one of those activities he couldn’t wait to sink his teeth back into, and what better way to start back bike riding than on a Specialized S Works Tarmac. One of the best road bikes in the world, in my opinion. 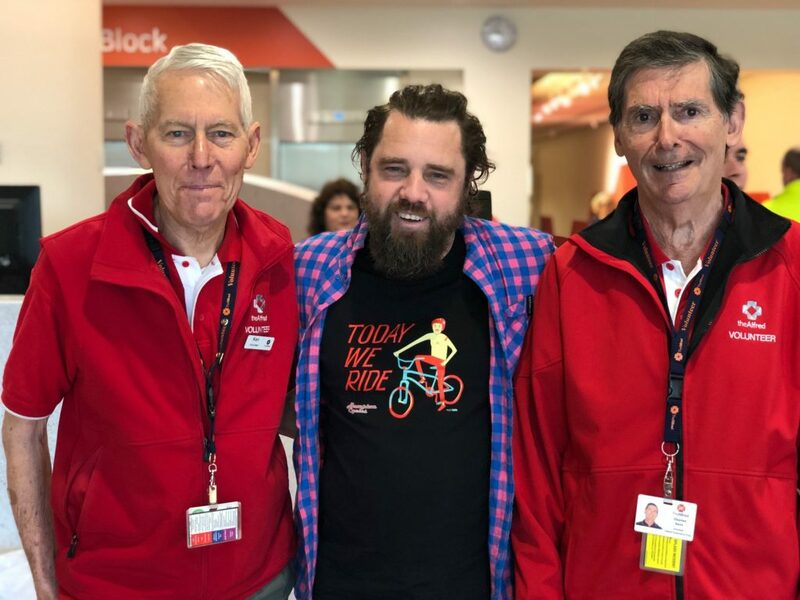 Thor won gold in the bowling and in the 5 km cycling time trial and is now targeting the world transplant games next year, where he’ll be able to represent Australia! Thor in the 5 km time trial in the transplant games. An event he won a gold medal in. It’s amazing as I type this article to consider the sliding door scenario at play here. It actually just gave me Goosebumps. Less than a year ago Thor could barely tie his own shoelace without being completely exhausted. He was close to death. 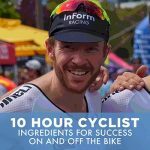 Now, he’s riding around on Beach Rd Melbourne every morning (follow his Instagram), sporting two gold medals and planning the next phase of his life. A phase where he can now breathe properly. Thor sporting his two gold medals, one fo cycling and the other for doubles ten pin bowling. Thor admits that he’s still figuring out what he can and can’t do. It’s a new world for him, but clearly there are still many considerations. But the considerations are a beautiful thing. Instead of it being – I can’t do that at all, it’s I can do that but how far can I push it? A good problem to have for Thor! 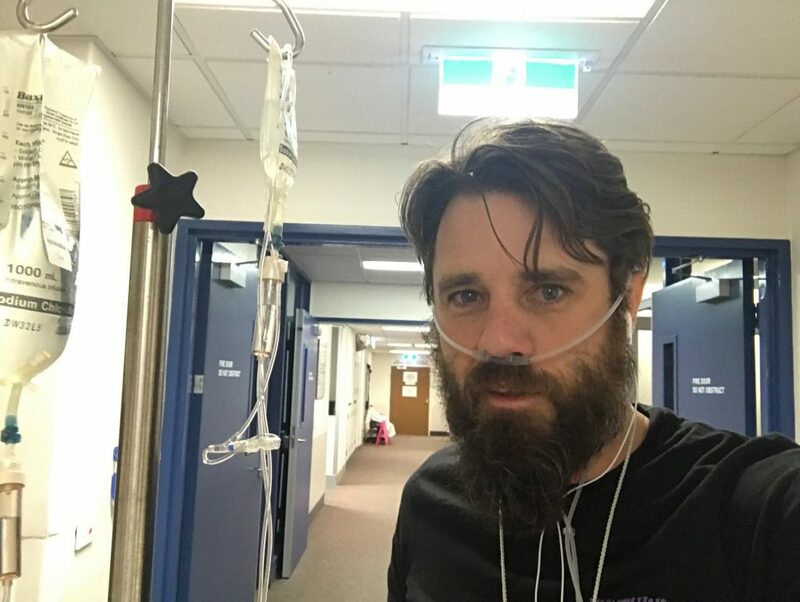 Thor discusses the next phase of his life to be sharing his experiences with others and inspiring other CF carriers with the possibility of a long and fruitful life. He describes a desire to give back to those who have helped him at the Alfred Hospital over the past 40 years and during his mammoth transplant process, and of course, relishing the moments with his beautiful wife and daughter. From the team at Bike Chaser aka “The Bike Chaser’s”, we wish you and your family all the very best and we look forward to watching your activities at the World Transplant Games. Thor with some of the Alfred Hospital support staff. 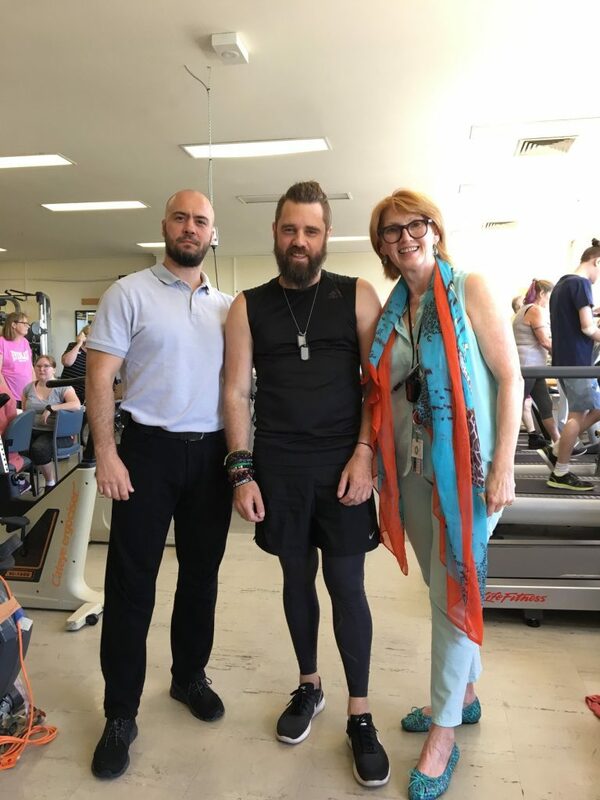 Thor with more staff from the Alfred hospital physiotherapy division. Thor with his new set of lungs at Mikes Bikes. Both Hampton Cycles (Victoria) and Mike Bikes (Gold Coast) supported Thor during his transplant games endeavours.